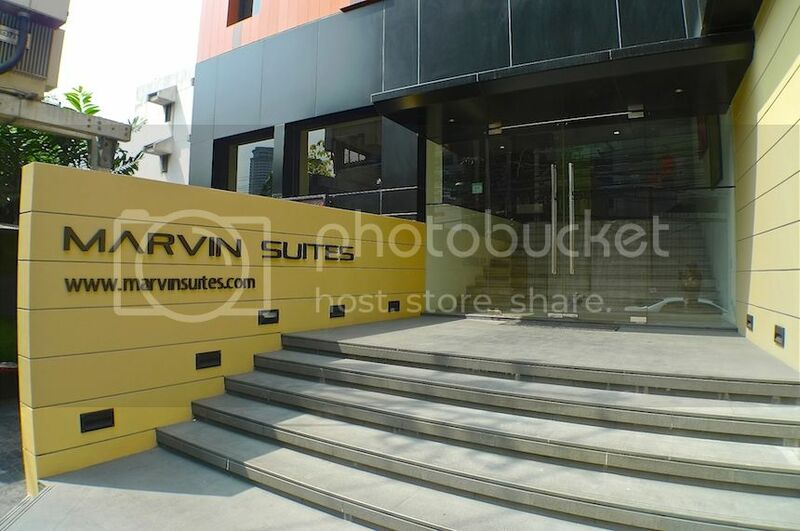 During my trip to Bangkok back in 2014, I stayed at Marvin Suites, a boutique serviced apartment. 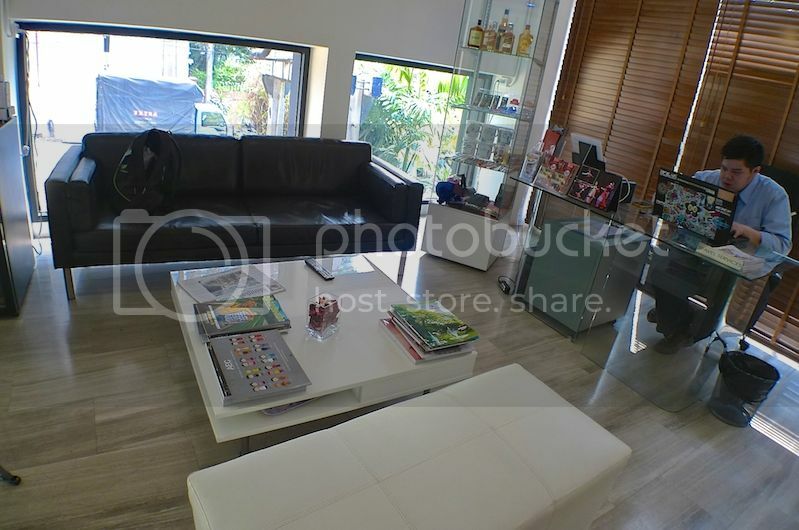 Located at a quiet street off Sathorn Road, it is within 10 minutes walking distance to Surasak BTS Skytrain station. 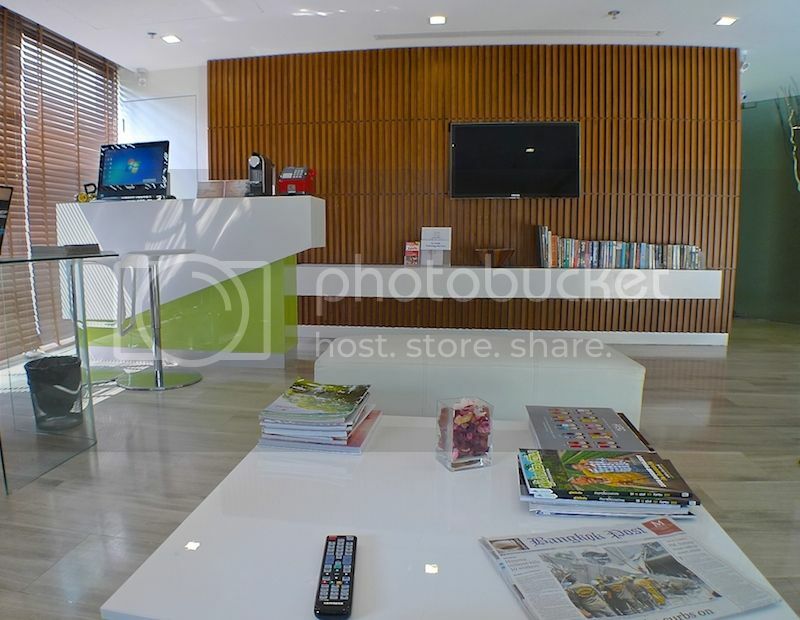 I was quite pleased to see the modern looking lobby came complete with books, magazines, newspapers, a TV, a computer, a phone and a coffee machine! 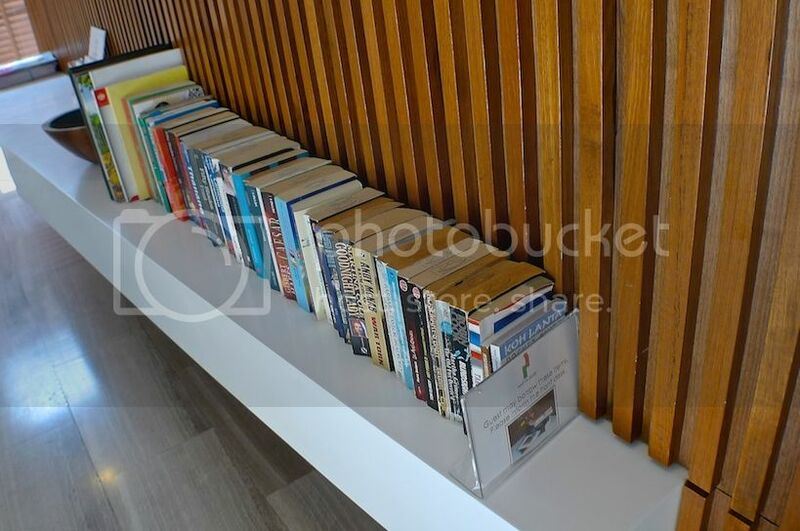 I did not get a chance to read any of the books though. Neither did I get the chance to use the computer. Too busy exploring the streets of Bangkok! LOL. This is my room. 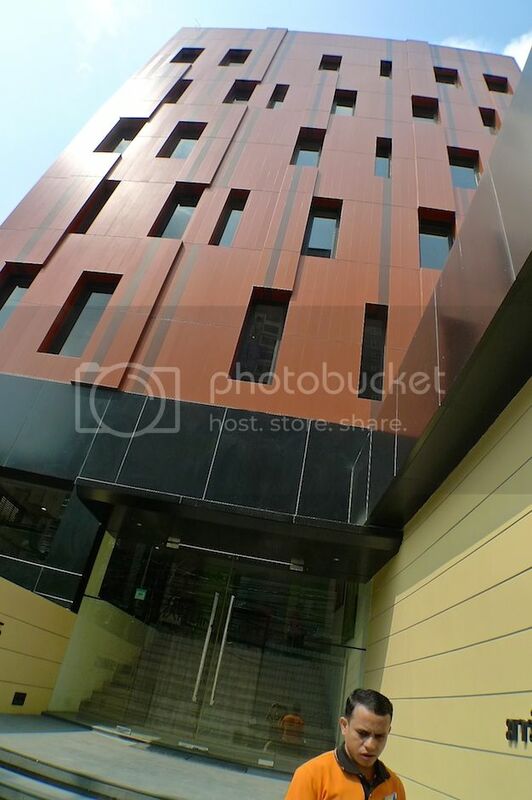 I have forgotten which floor it is. Haha! 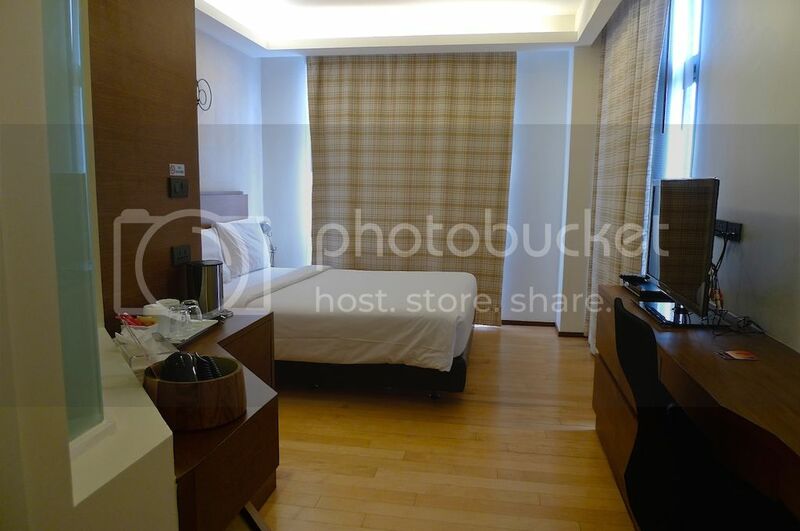 The room was cosy and clean. I love it! 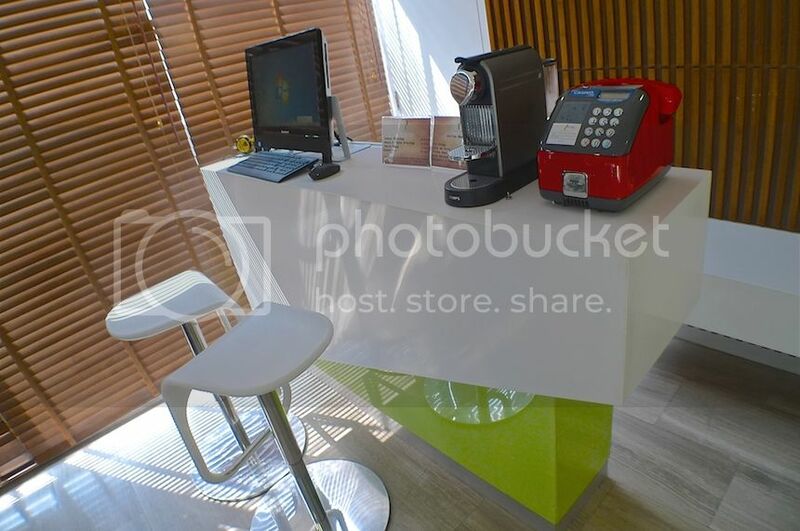 Hair dryer, tissues, instant coffee making facilities and an electric kettle - the usual stuff that I expect from a hotel, or rather in this case, serviced apartment. 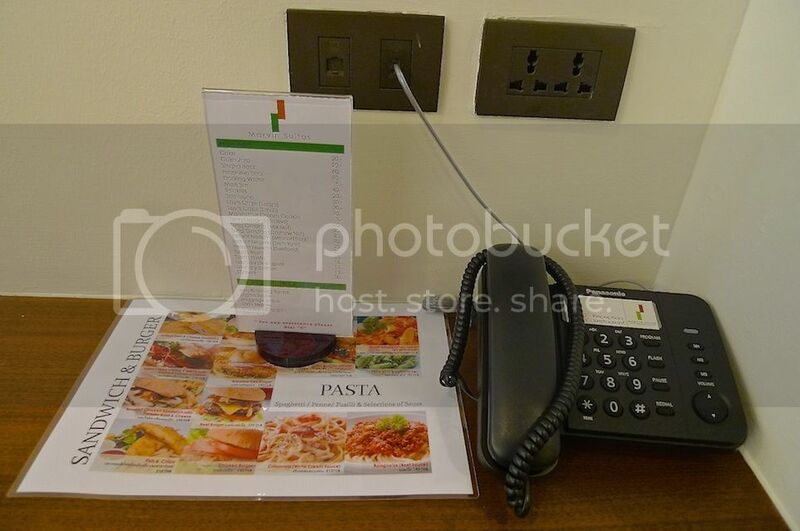 The phone and a menu to order for food to be delivered to the room. 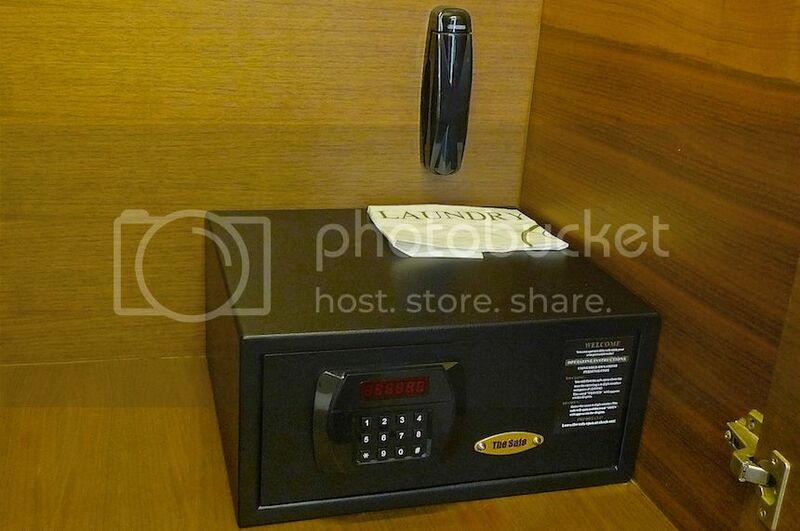 A mini fridge and a safety box were also provided. The safety box where I kept my valuables. 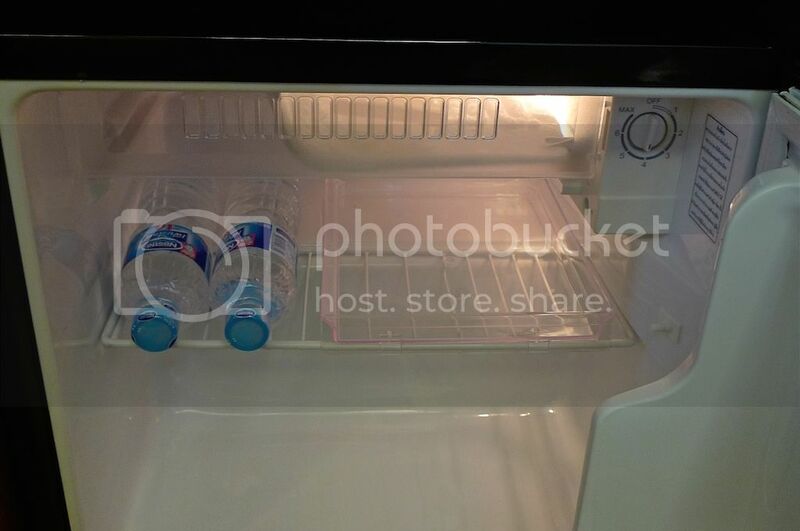 Nothing in the fridge except for two complimentary bottles of mineral water. 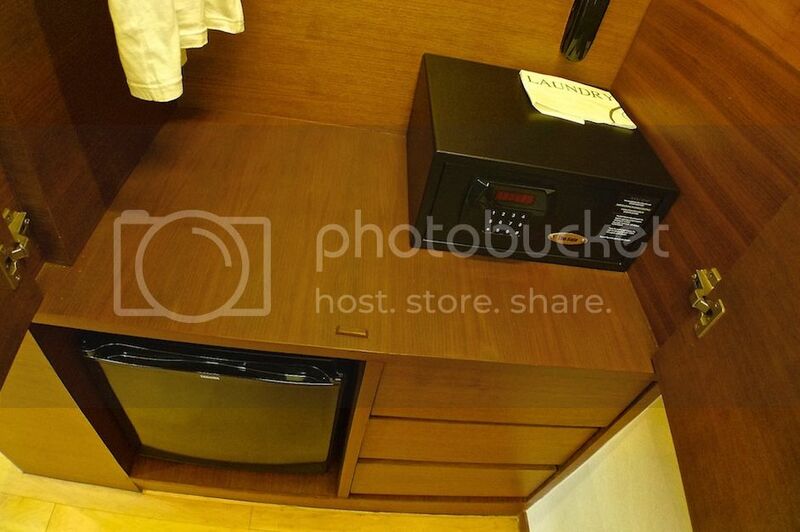 Well, that's OK as I never ever eat anything from fridges inside hotel rooms. Not worth paying for the exorbitant price when you can get similar stuffs from 7-11 nearby at a fraction of the cost. 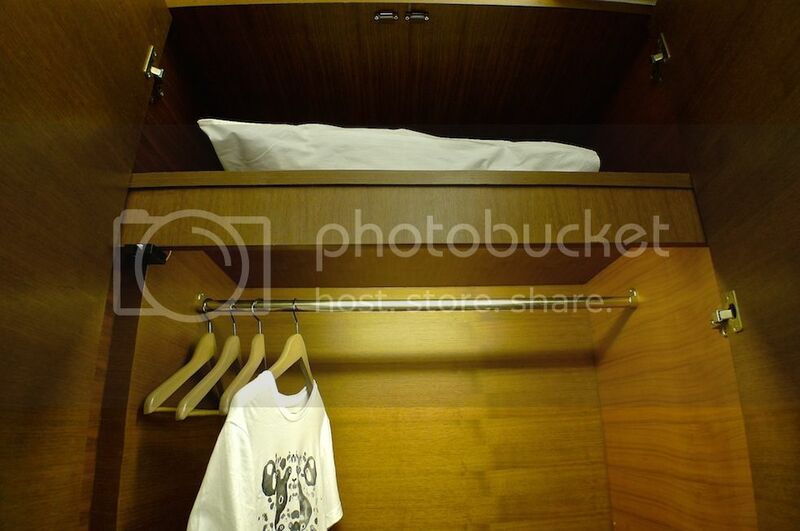 Wardrobe with hangers and an extra pillow which I did not bother to use during my stay. 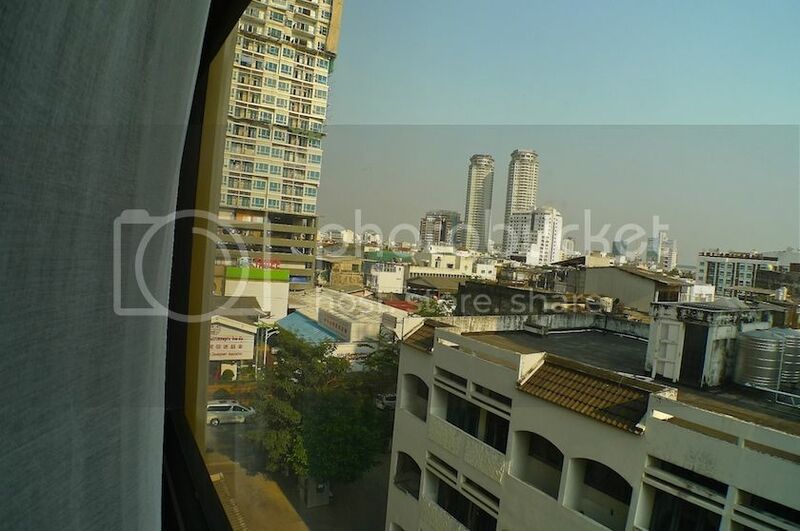 The flat screen LCD TV was very important - I watched Thai dramas and Thai music videos every night in my room! Haha! The view from my glass window. Not spectacular as expected, but I'm OK with it. Another view from the other window. 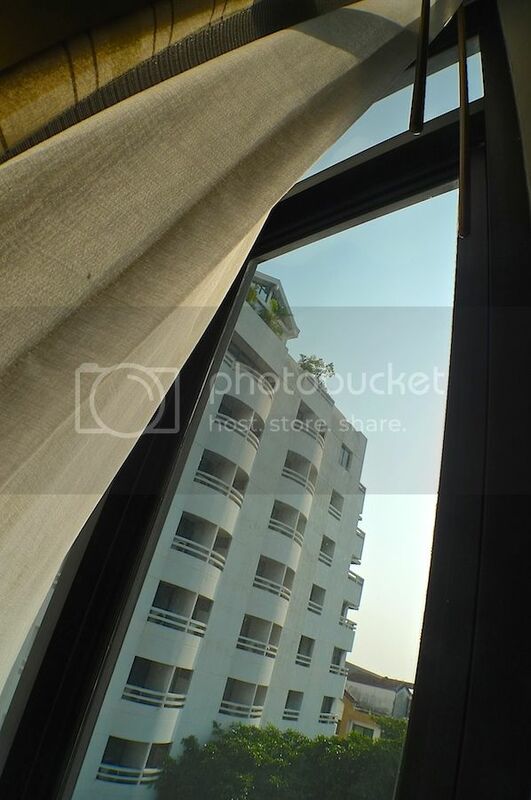 The thick curtains were great to block out the hot sunlight in the daytime. Surprisingly, I made instant coffee every night during my stay here. I don't usually drink coffee in hotel rooms during my travel. Not sure why I did it this time, but I just liked it. Haha! 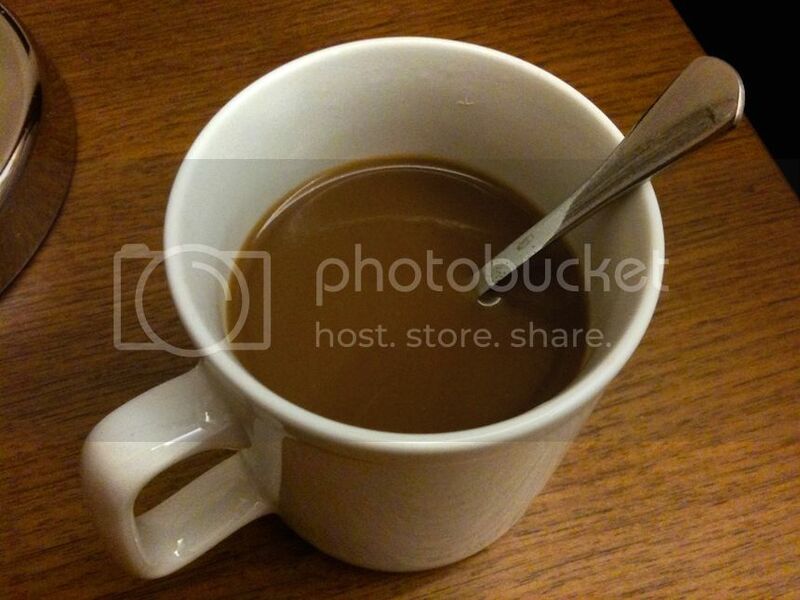 My cup of hot instant coffee! Awesome. I liked that the electrical sockets in this suite were suitable for my three pin plug. 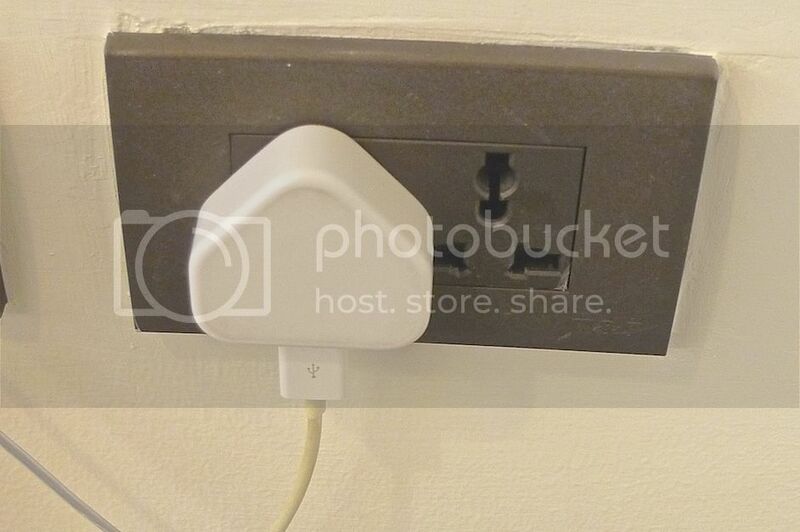 I did not have to use an adaptor, unlike in other hotels which I have stayed before in Bangkok. Cool. They provided the usual stuff - shower gel, shampoo, hand soap, and towels. However, no toothbrush, toothpaste and shaver, I am afraid. Ooh! I love the rainforest shower! Not sure about you, but this alone made my stay here well worth it! 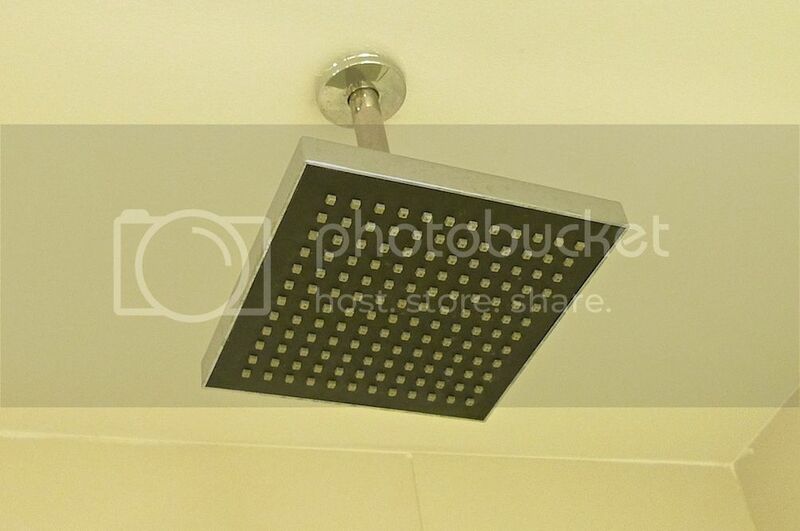 You simply can't imagine how long I spent taking my shower every night! Haha! Overall, I was very satisfied with the room. The wifi was pretty good too, though at times it was a tad slow. I only did not like one thing - the room did not have a full length mirror! I always prefer a full length mirror near the door so that I can check how I dressed up before I leave the room. It was enjoyable staying here all by myself .... until my friend joined me on the second night. You see, I want this room all for myself. I don't like sharing room with others hahaha! Unless the room is too expensive of course. 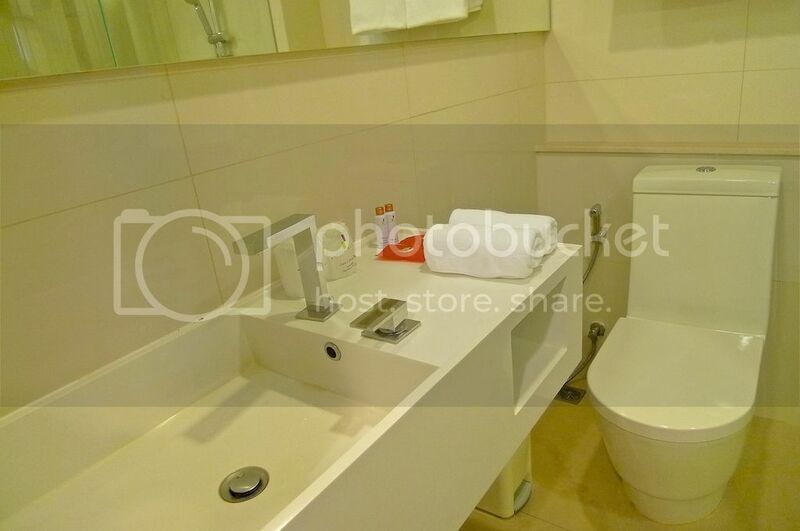 But for this room, I paid about RM150 per night which is reasonable. 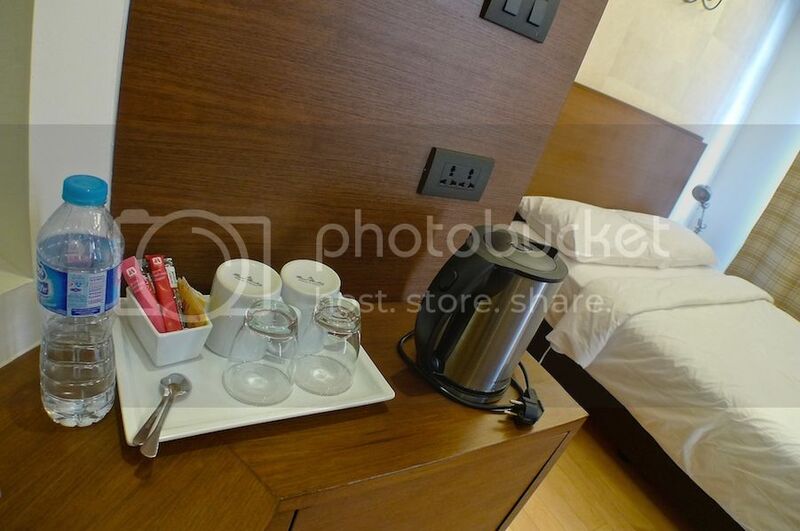 Oh yes, another thing worth mentioning is the breakfast provided by this serviced apartment. I love their breakfast! Every morning I looked forward to have breakfast at their restaurant/cafe. 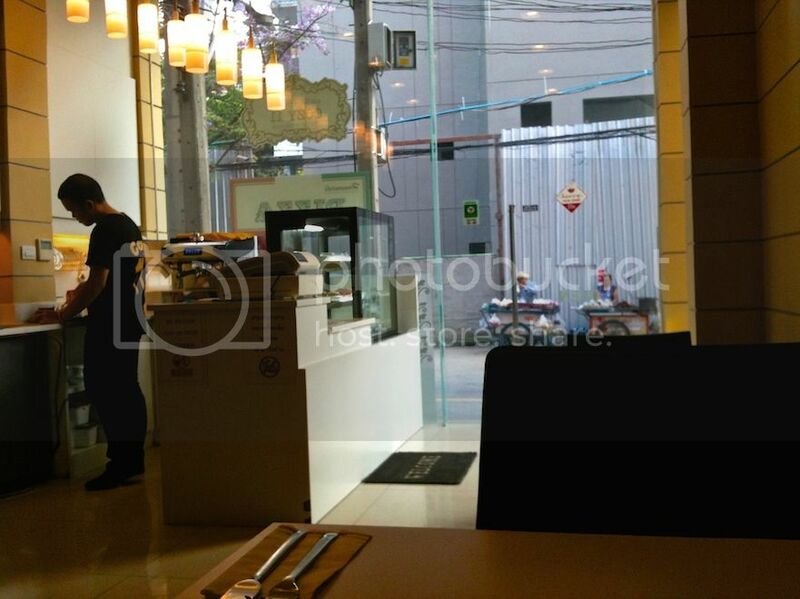 The restaurant/cafe had a nice ambience and I could just relaxed while eating here. This was what I ordered every morning without fail. 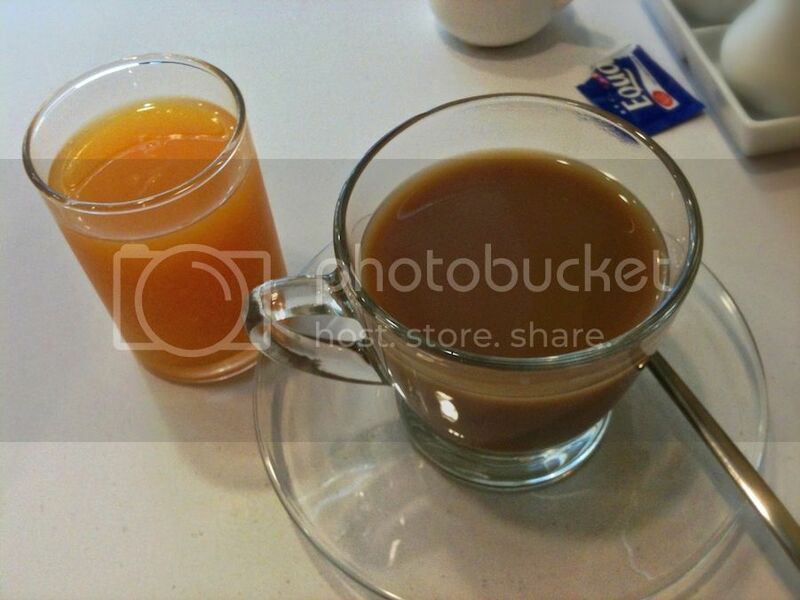 A cup of coffee and a glass of orange juice. So good. You can choose from three different sets of breakfast. 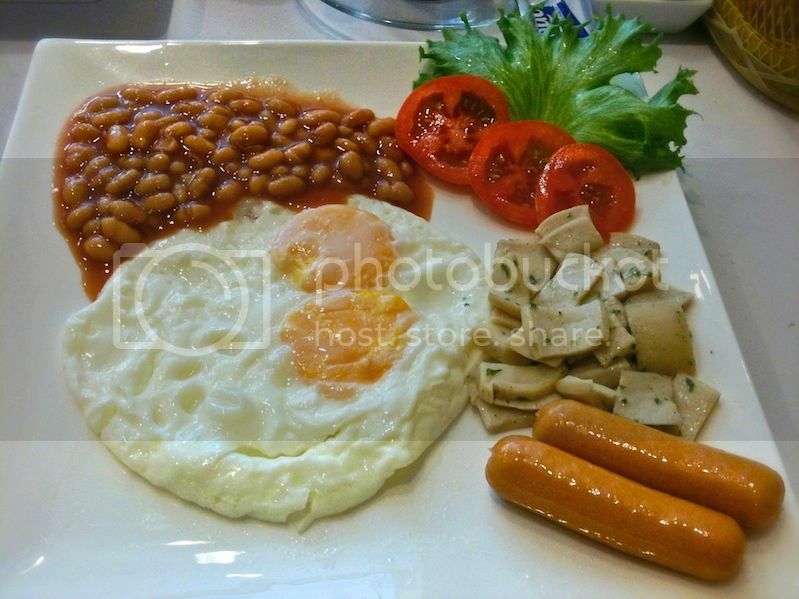 I love this Western breakfast with eggs, sausages, mushrooms, tomatoes and baked beans. Yummy! 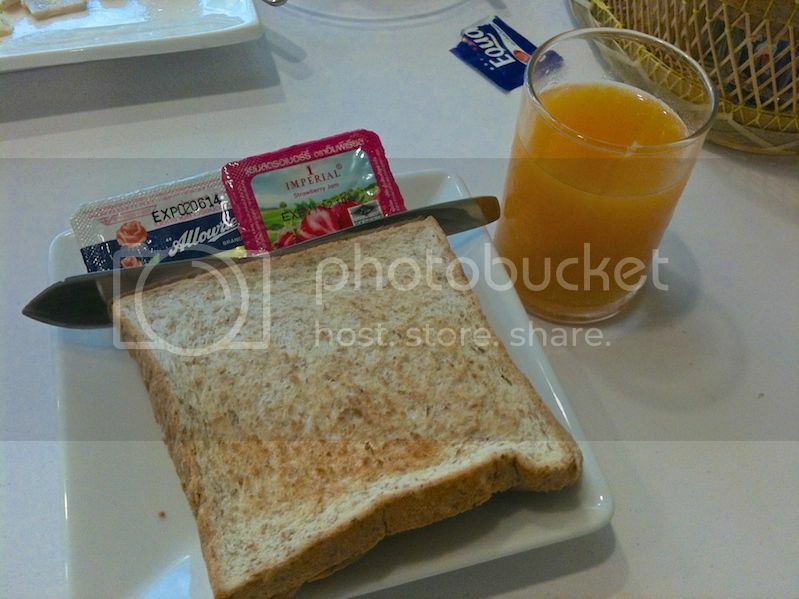 No matter which breakfast set you choose, toasts with butter and jam were provided together with a glass of orange juice. Honestly, this may look simple and not a big deal, but I felt it was my best breakfast ever! 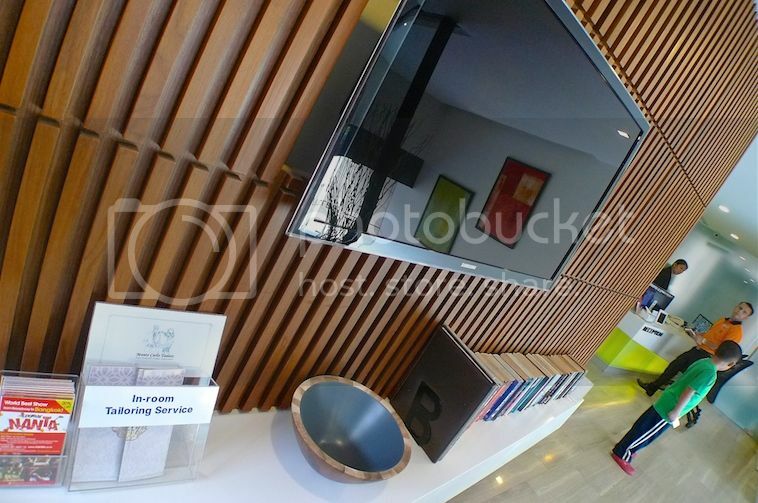 The staff at this serviced apartment were friendly and nice. That made my stay here even more enjoyable. I would definitely return here again next time!